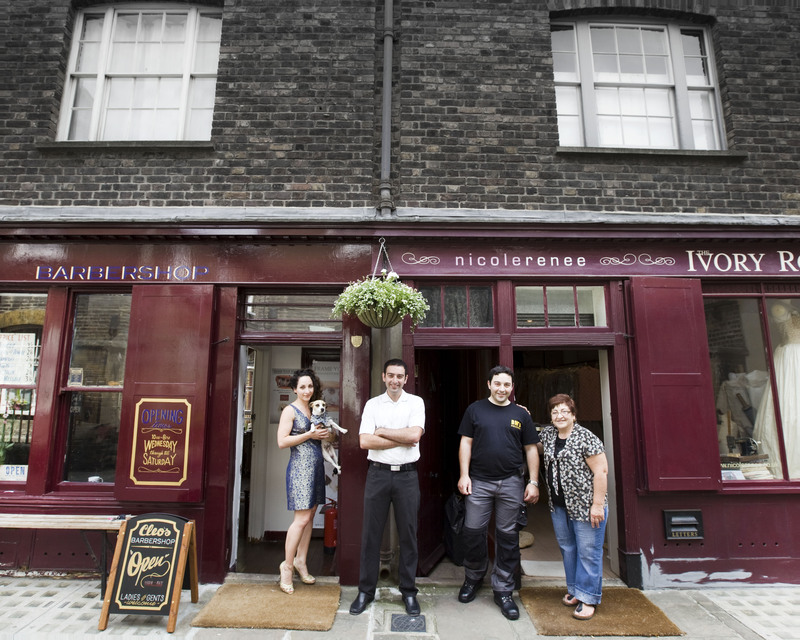 In Spitalfields this week, the Cleovoulou family celebrated a joyous moment of renewal, as they united in common purpose to reopen the old barber’s shop their father Kyriacos Cleovoulou (widely known as Cleo) ran from 1962 until his death five years ago. It was his daughter Stavroulla (widely known as Renee) who led the initiative, while her brothers Panayiotis and George have embraced the venture wholeheartedly too, undertaken with the blessing of their mother Niki (widely known as Nicole). The emotional catalyst for Stavroulla was the death in April of her Uncle Takis, when she realised she could not let the family business die. All the family were taught to cut hair by Kyriacos, yet pursued other ways to make a living, though that might be about to change now everyone is working to bring new life back to this beautiful match-board lined barber’s shop opposite the almshouses in Puma Court. 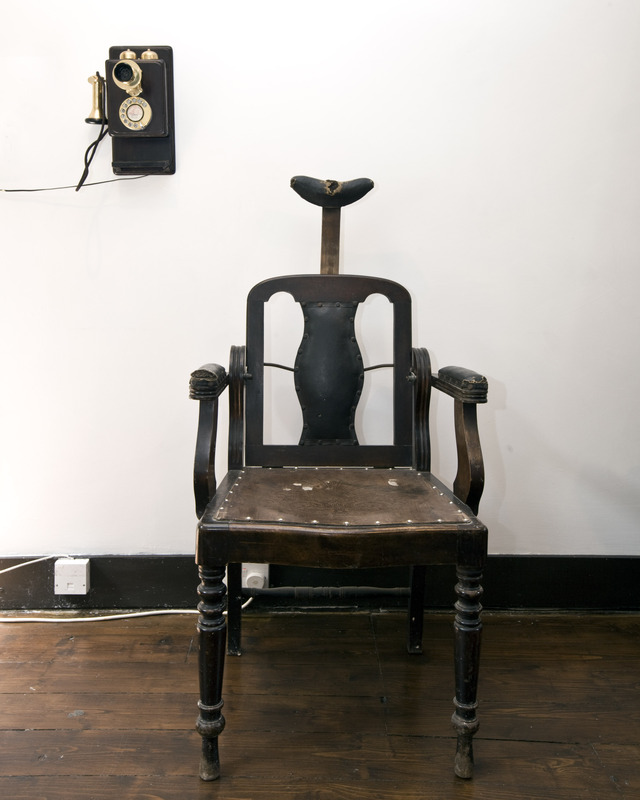 No-one knows exactly how long there has been a barber’s shop here, though the discovery of a nineteenth century barber’s chair in the cellar suggests at least a century, and Kyriacos himself claimed it was the oldest barber’s shop in London. By chance, I arrived on the very day of the launch, just as Niki entered with the completed brocade dress she had sewn for her daughter Stavroulla to wear on this special occasion. Stavroulla’s eyes lit up with excitement to see the dress that incarnated this bright moment of new life, and with a shake of her glistening curls, she ran from the room to slip it on – returning a moment later, glowing with happiness and pride. Next, George arrived with an angelic smile, bearing trays of his mother’s baking, which he carried through into the sunny paved yard where a folding table had been set with the cherished Coalport tea service that was his parents’ wedding present. Once upon a time, Kyriacos used to nurture vegetables in pots here in this suntrap, in between giving hair cuts. Today, local residents and neighbours were coming round for high tea, Stavroulla’s son Dominik would be DJing on a wind-up gramophone, Panayiotis was going to perform a traditional Greek dance and George was playing the bouzouki. But in the meantime, I had the opportunity of a quiet chat with Stavroulla while she gave photographer Jeremy Freedman a wet shave, offered complimentary to guests that day. “I’m meeting my dad’s clients and they are telling me stories about him.” she confided, in delight at this unexpected bonus of reopening the salon – enabling Stravroulla to learn more about her father through the intimate reminiscences of his long-term customers. “When you lose someone you love, you appreciate what was special about that person,” commented Stavroulla, changing tone as she contemplated the absence of her father on this special day honouring his memory, “He was a very simple man. He was all about us, his family, his barber’s shop, his bible and his allotment. Before he became a Jehovah’s Witness, he was very quiet and then after he found his religion, he couldn’t stop talking about the bible.” The bible, discreetly in the corner, is just one detail among many, placed by the children in the salon, telling the story of their father’s era. 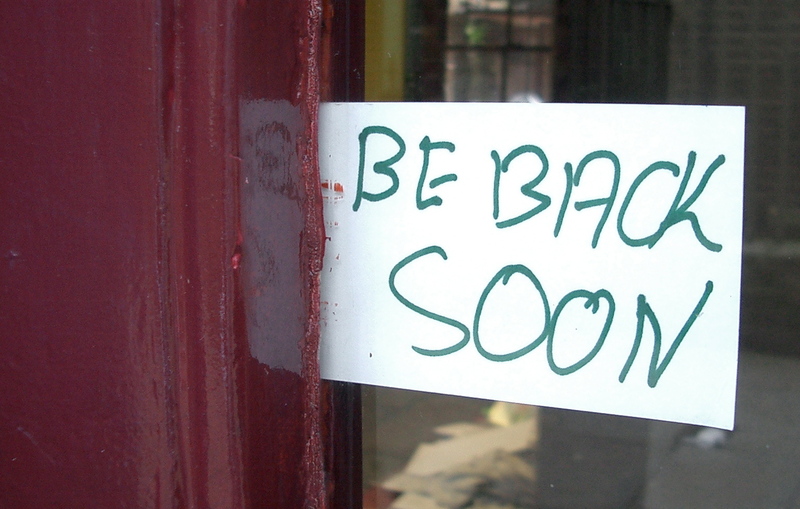 Over recent weeks they have been busy cleaning up the place, repainting the frontage in its original colours, getting new signwriting, collecting antique barber’s shop fittings and arranging everything, down to the last detail of a simple rack of plastic combs for sale, hung in exactly the same place their father had it, and even the cardboard “Be back soon” note on the door, written on a business card. In adulthood, each of the children went their separate ways. Twelve years ago, Stavroulla moved into the building next door when she married, but found herself bringing up her son as a single parent while running a business with her mother making couture gowns under their own label “Nicolerenee,” as well as being a permanent makeup artist. Meanwhile, Panayiotis became a lecturer in Cyprus and George started a business specialising in credit card software. More recently, all three children have been practising their wet shave technique in advance of opening the barber’s shop, and the two softly-spoken brothers are now experimenting with lime wash as part of their plan to renovate both buildings that the family own in Puma Court, retaining all the paneling and details they remember from childhood. At the last moment before it was lost, the Cleovoulou family realised the beauty of what they had, and, through an appreciation of the dignity of their father’s lifetime as a barber, they have rediscovered their common bond as a family, creating a future from the recognition of their shared past. Let us applaud them in this heartfelt endeavour which reinstates a lost Spitalfields landmark, Cleo’s Barber Shop, offering the personal service that is unique to a family business while enriching the human fabric of the city too. 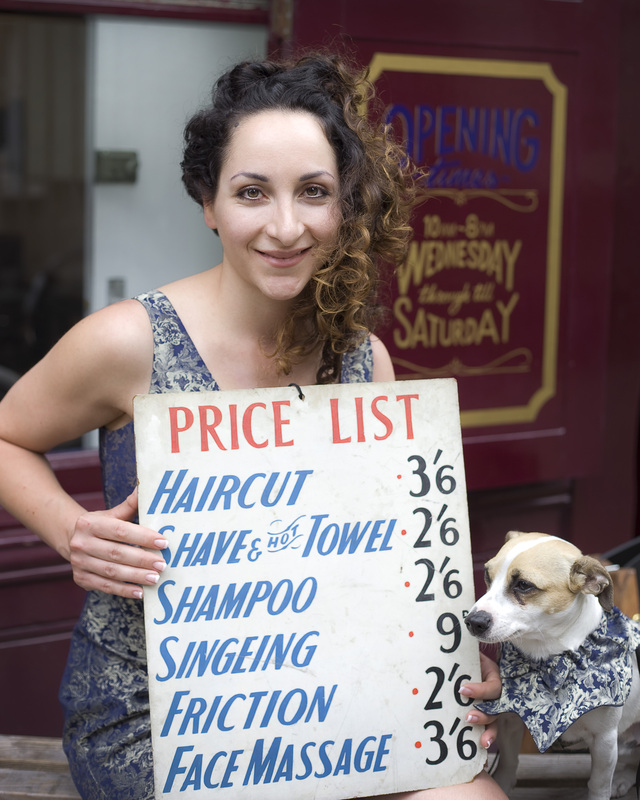 Stavroulla Cleovoulou holding her father’s price list, pictured with her dog Beans. Nineteenth century barber’s chair discovered in the basement. 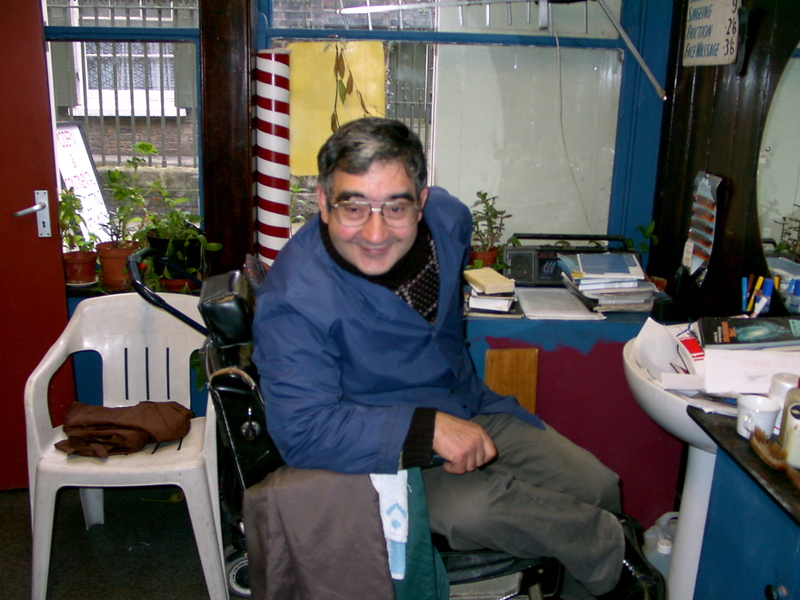 Kyriacos Cleovoulou in the barber’s shop he ran for over thirty years. 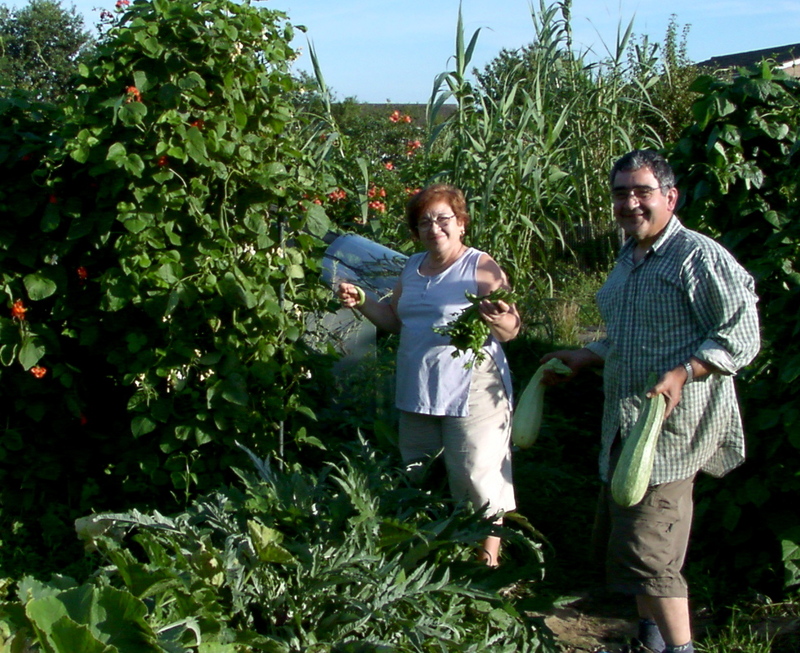 Niki and Kyriacos at their allotment. Read more about The Barbers of Spitalfields.